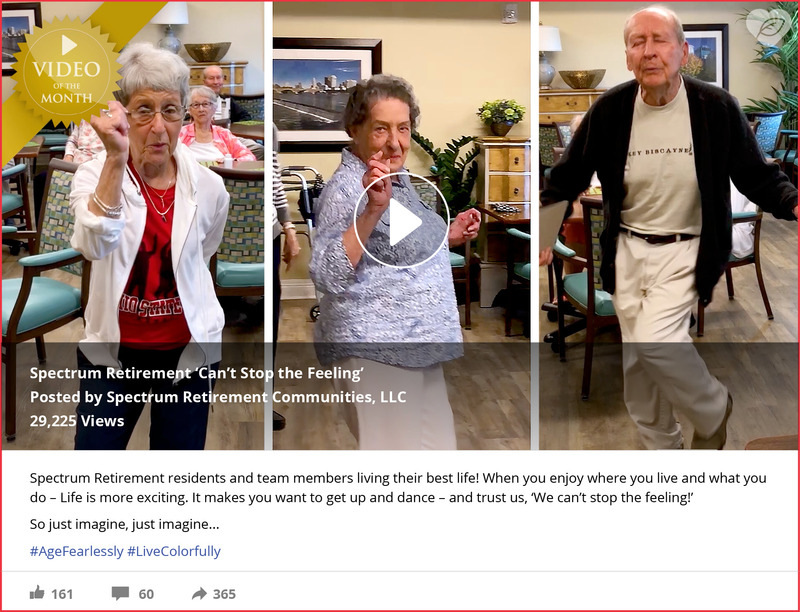 From Spectrum Retirement Communities, the September Video of the Month speaks for itself! This video went viral within minutes of being posted. It is a montage of fun and feel-good, and reflects everything great about Spectrum communities across the country. Watch the video and read all of the great comments on their Facebook post. Click below!